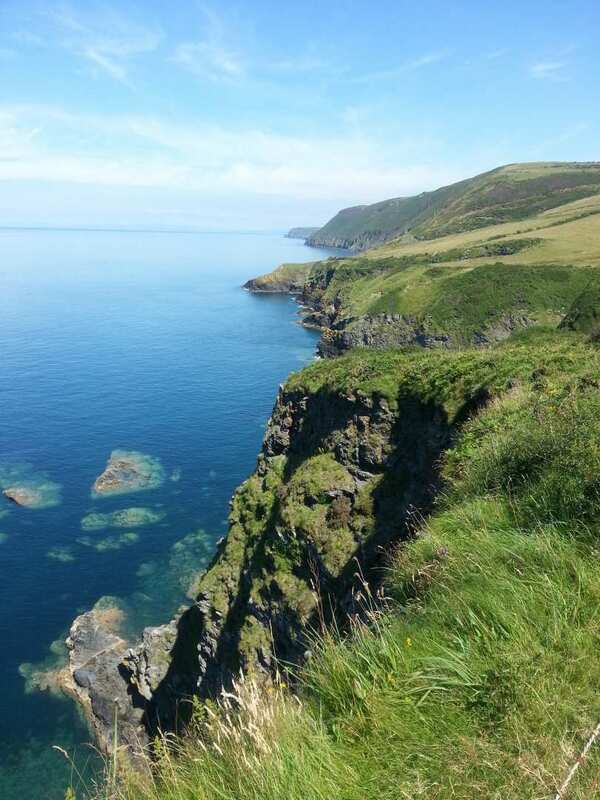 Experience southern Ceredigion Coast Path at your own pace on a self-guided walking holiday. Accommodation, luggage transfer and custom holiday pack included. 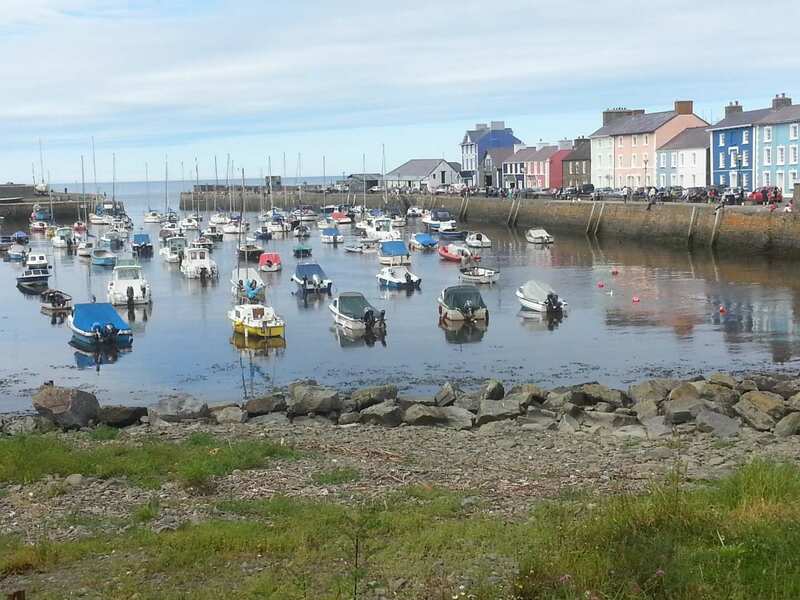 A walk along the southern half of the Ceredigion Coast Path, from Llanrhystud to St Dogmaels. 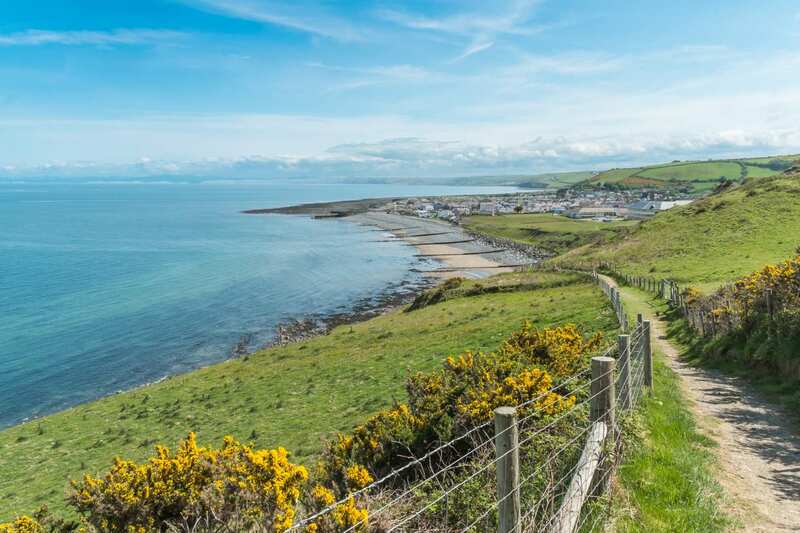 The southern section of the Ceredigion Coast Path borders Cardigan Bay throughout its 41-mile journey, and crosses low-level cliffs with few of the stiff ascents of the northern half. From this part of the trail, grey seals can often be spotted down in the caves that pock the rock face. Broad beaches frequently bring you close to the waves, while the extensive walls and arches of the ruined St Dogmaels Abbey provide an atmospheric glimpse back through history. Experiencing the peace and tranquillity on the walk from Llanrhystud. Admiring the far-reaching views over Cardigan Bay and the Preseli Hills. The abundance of plant and animal life, including dolphins, Red Kites and wild ponies in the countryside surrounding Cardigan Bay. If a relaxing day on a sandy beach is tempting, consider booking an extra night at Llanrhystud. 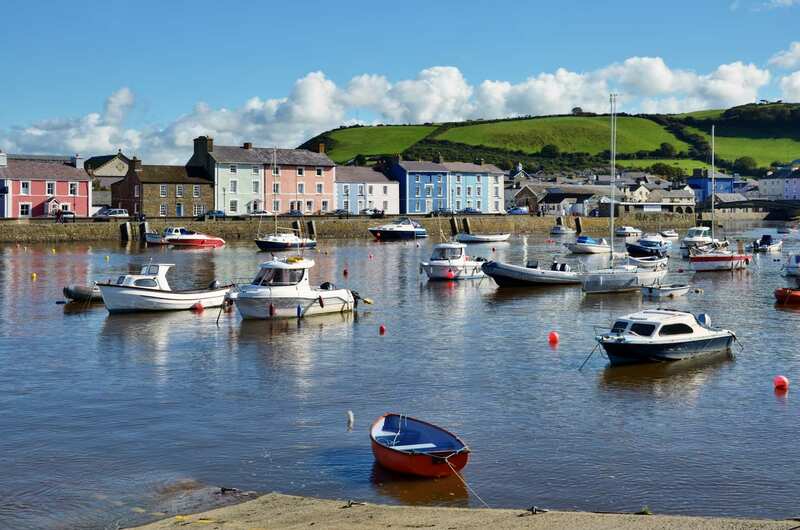 New Quay offers the opportunity to spot dolphins in Cardigan Bay. With its heritage and marine wildlife centres, as well as a nearby honey farm, there's plenty to see and do. By Air - The most convenient major city and international airports are Bristol, Cardiff and Liverpool John Lennon. By Rail - The nearest rail station to the start of the trail (Llanrhystud) is at Aberystwyth (about 9 miles away). The nearest rail stations to the end of the trail (St Dogmaels) are either Fishguard & Goodwick (about 20 miles away) or Carmarthen (about 30 miles away). By Bus - Few bus services run to Llanrhystud. Various bus services run from St Dogmaels. From London - Trains run from London Euston to Aberystwyth. From there a bus/taxi will be required to Llanrhystud. Return To The Start - The easiest way to return to the start of the trail, is to take the bus from St Dogmaels to Llanrhystud.